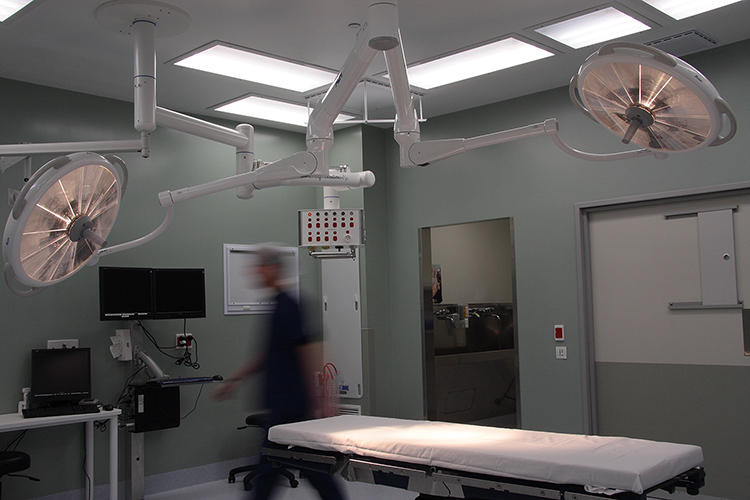 Sophisticated lighting installed in Porirua's Kenepuru Hospital's operating theatre has enabled it to now cater for a diverse range of procedures. 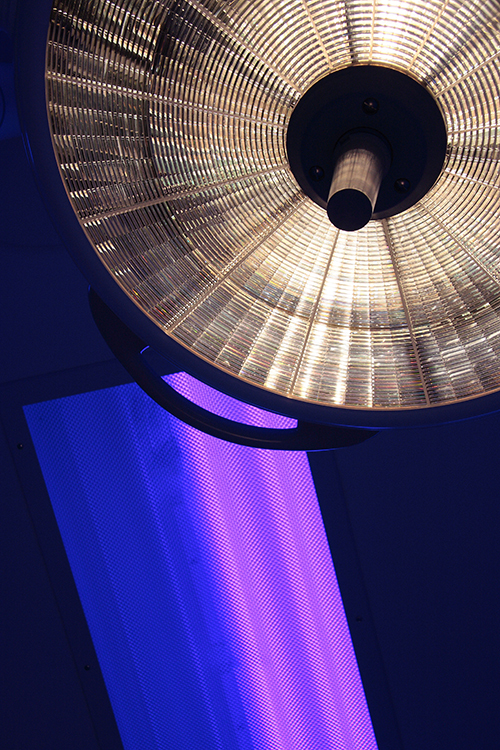 Requiring specific and easily adjustable lighting, both in the room environment and over the operating table – from intense levels for surgeons to dimmed lighting for ophthalmologic procedures requiring patients’ pupils to dilate, S&T's solution is a combination of ‘blue’ and ‘white’ lighting. The blue light ensures maximum visibility in low light and minimal glare on monitors while the white light is for situations not suited to the blue light conditions. All light fittings are energy efficient and have this dual-colour capability, managing the balance of white and blue light can also be programmed for different areas with clean up and servicing made easy.